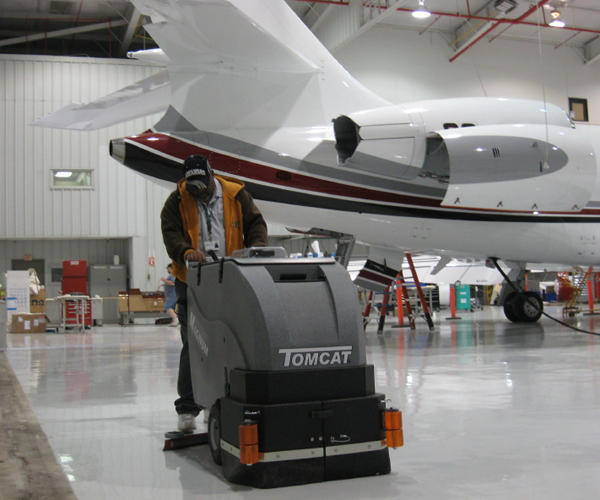 Aviation is a specialty field and Tomcat cylindrical scrubbers are particularly popular in the aircraft hangars, where FOD reduction is so vital. The cylindrical scrub head on the Tomcat battery scrubbers is able to sweep up the small debris and scrub floor in a single pass. Some of the largest airline carriers use the Tomcat scrubbers to recover de-icing fluid after application, which avoids it from potentially contaminating surrounding soil or water.